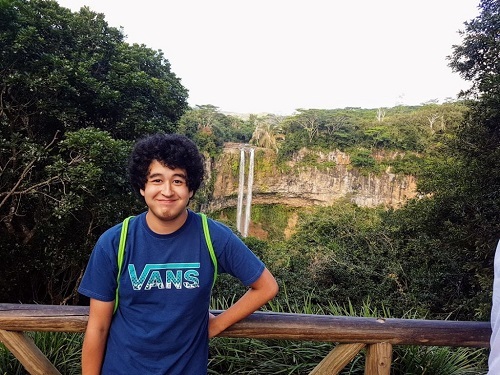 Last summer I had the pleasure of spending 2 weeks on the beautiful island of Mauritius with my son. 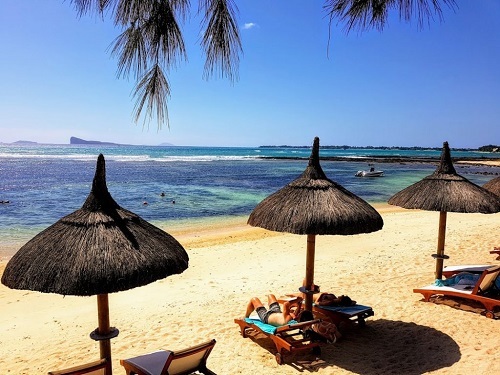 About 30 years ago, I used to have a pen-pal in Mauritius and learnt so much during that time but being here, it’s nothing like I imagined – it’s so much more beautiful and not just externally. Isaac and I tried to describe the island and the best we could come up with, it’s an amazing mixture of India, Africa, France and the Hawaiian Islands. French is spoken everywhere as well as English and of course you hear Hindi everywhere as well. It’s wonderful to see that this little island in the middle of the Indian Ocean has been so successful in creating such a multicultural society. 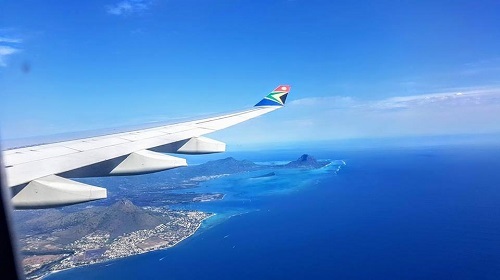 While Mauritius is on the opposite site of the globe for us living in North America, it’s not as complicated as it seems to get there, though it will be a long flight. We broke up our trip in Europe and then flew via South Africa to the island but there are faster ways by flying via Istanbul, Turkey, Doha, Qatar or the United Arab Emirates. Having said that, the long journey there, is well worth it and you won’t regret it. Just look at this breathtaking beach near the Le Morne National Park! Having been to beaches all around the world, this has to be by far one of the most beautiful. 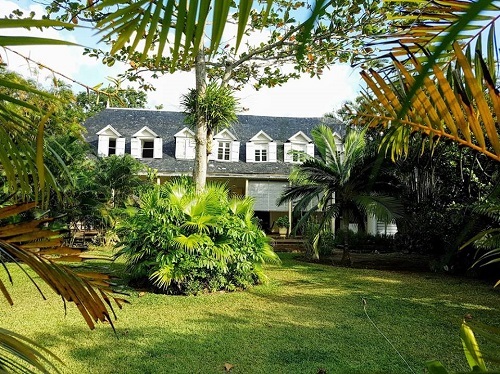 When it comes to accommodations, there are a lot of really great options and I’ve visited about 15 different properties during our stay there. 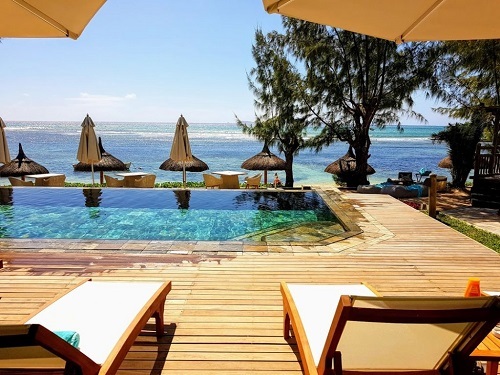 One of them was the beautiful and small Seapoint Boutique Hotel in the Northwest part of Mauritius, near Grand Baie. This property has only 24 rooms and is the kind of place I always like to recommend. It’s small, cozy, unique, attentive service and right on the beach. The general manager Vishnu, whom I had the pleasure of meeting, personally welcomes his guests, takes care of them and makes sure that they have an unforgettable experience. Right now the hotel has all rooms with king size beds but they are in the process of offering twin beds as well. There is a private beach where you can have your morning walks or enjoy some of the most beautiful sunsets the world has to offer. 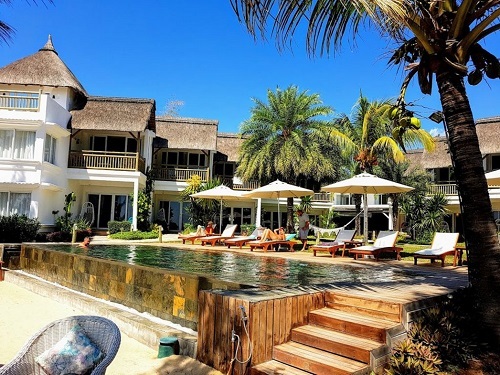 If you would like more information on traveling to Mauritius and how to best discover the island, by driving yourself or have a driver & guide take you around, please don’t hesitate to contact me. 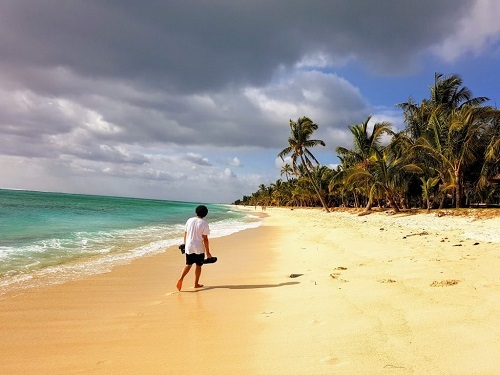 I’ll be happy to create an unforgettable itinerary for you. ← Planning to Cruise in 2019?